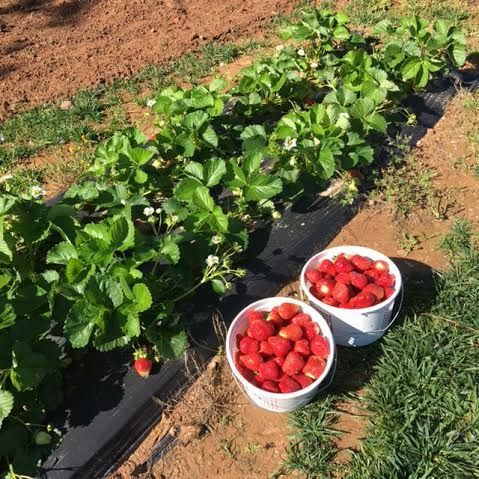 I think I picked the first and the last of the strawberries at Olivia’s farm stand where she works this summer. I went when they first opened in April and then again this morning. 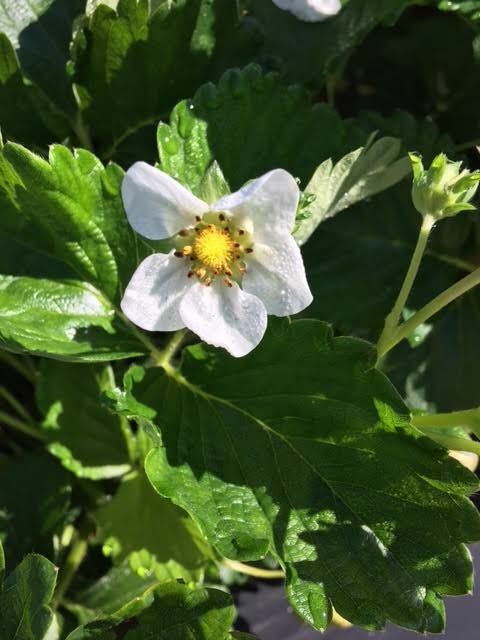 8 weeks is a good run for a strawberry patch, so I’m told. 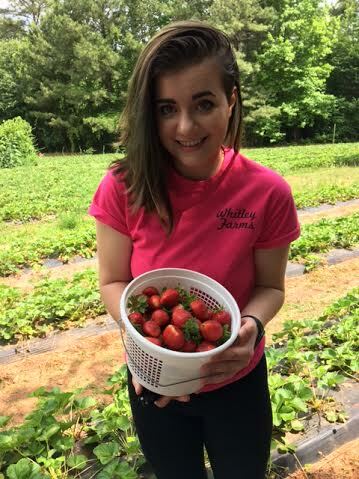 These are pesticide-free and berries from Whitley Farms in Sharpsburg, Ga.
And this is a pesticide-free child from my home in Peachtree City. I met a friendly fellow today at the farm. Olivia doesn’t know his name but I’m sure he has one. 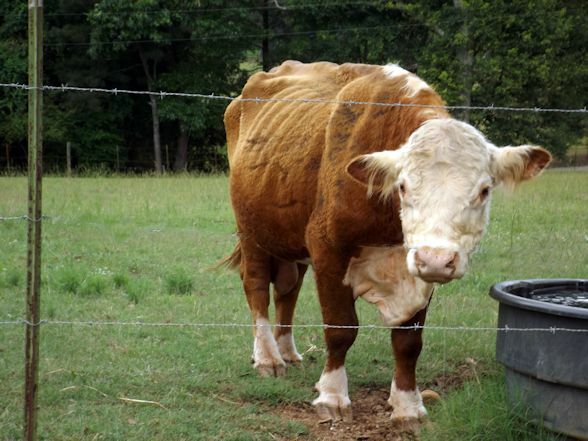 He’s a very large but not very aggressive bull. He frolics with the resident golden retriever. I always wanted a cow when I was growing up. I don’t remember now why I wanted one so badly. I think I liked their faces. They always seem so gentle and calm. 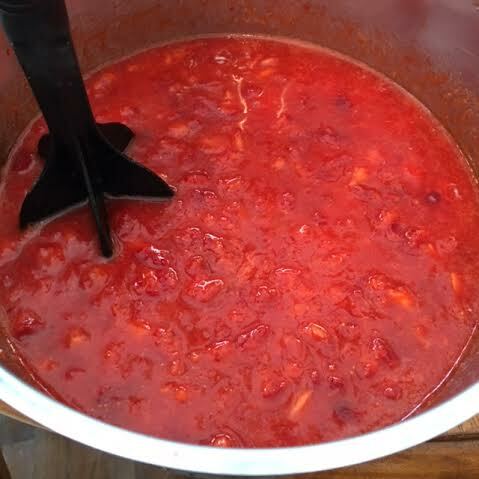 When I got home I decided to make some strawberry jam. 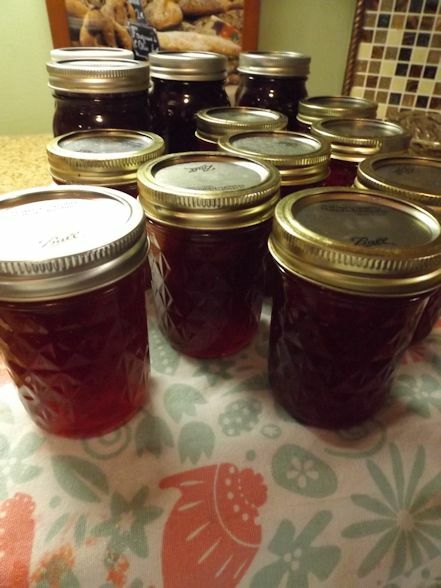 I enjoy making homemade jelly and jam but I always go overboard. 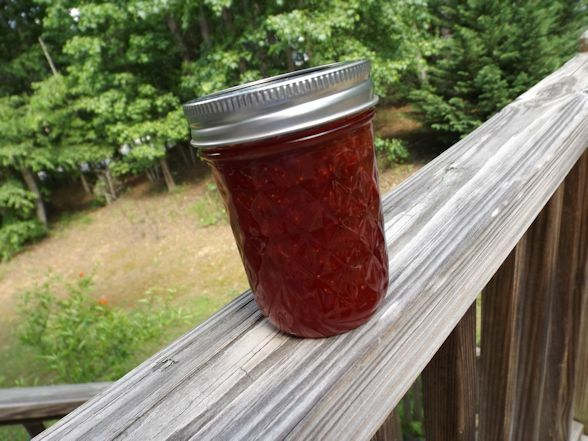 Today I made 18 jars and I haven’t even made my blackberry or peach jam. We go through it pretty fast so I think we’ll be okay. Maybe I need a Jam Van to go along with my Biscuit Bus. 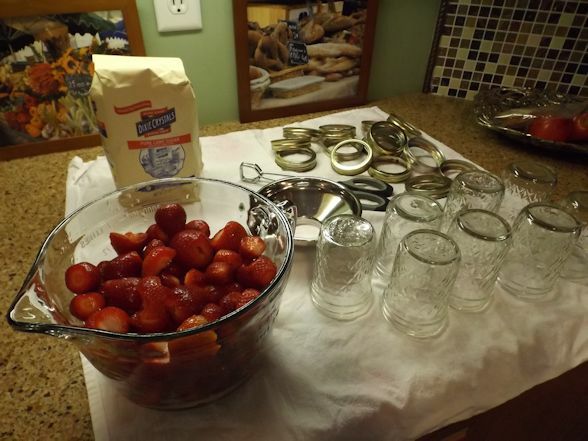 This recipe calls for 8 cups of strawberries and 7 cups of sugar. SEVEN CUPS! We tested it out with some leftover pound cake. 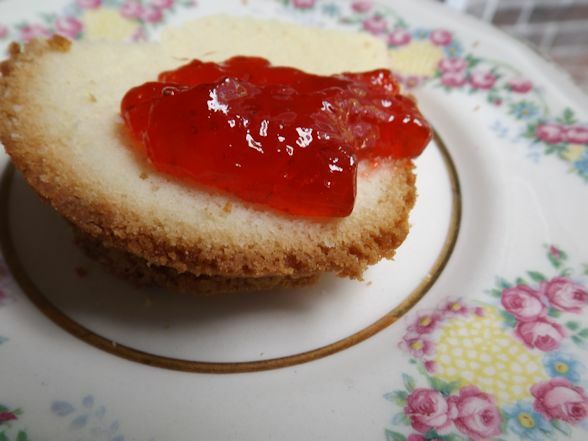 My personal favorite is with homemade yeast bread. Maybe I’ll make some tomorrow or maybe some biscuits. My 18 jars probably won’t last as long as I think they will if I keep making tasty accompaniments! 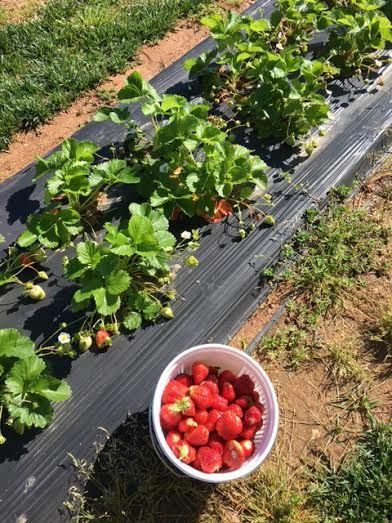 I hope you get to enjoy summer’s bounty, too. I’m looking forward to more fresh and tasty foods from our local stands.